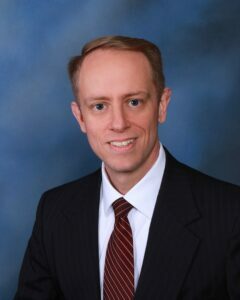 Edward L. Walker is an associate attorney at Finderson Law, with the firm since 2017. He attended Indiana University-Purdue University Fort Wayne, receiving his Bachelor of Arts degree in Political Science and Economics in 2003. Ed pursued a career in Health insurance plan administration, before attending Salmon P. Chase College of Law at Northern Kentucky University. He received his Juris Doctor in 2014. Admitted to the Indiana Bar since 2015, Ed practices in personal injury, worker’s compensation, social security disability and wills & trusts. Ed has also studied at God’s Bible College in Cincinnati, OH concentrating in Ministerial Education. Ed enjoys reading, running and spending time with his family when not practicing law.